We present a novel high-speed particle tracking velocimetry (PTV) experimental system. Its novelty is due to the FPGA-based, real-time image processing “on camera”. Instead of an image, the camera transfers to the computer using a network card, only the relevant information of the identified flow tracers. Therefore, the system is ideal for the remote particle tracking systems in research and industrial applications, while the camera can be controlled and data can be transferred over any high-bandwidth network. We present the hardware and the open source software aspects of the PTV experiments. The tracking results of the new experimental system has been compared to the flow visualization and particle image velocimetry measurements. The canonical flow in the central cross section of a a cubic cavity (1:1:1 aspect ratio) in our lid-driven cavity apparatus is used for validation purposes. The downstream secondary eddy (DSE) is the sensitive portion of this flow and its size was measured with increasing Reynolds number (via increasing belt velocity). The size of DSE estimated from the flow visualization, PIV and compressed PTV is shown to agree within the experimental uncertainty of the methods applied. 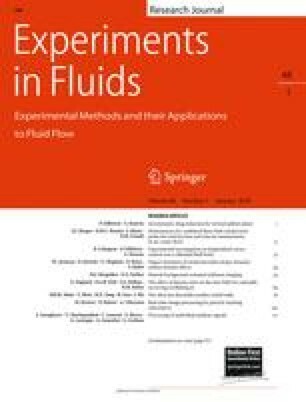 The authors are thankful to Reut Elfassi for assistance with the experiments and technical support in the experimental setup. The research has been funded by the Israel Science Foundation and the Wolfson Family Charitable Trust.